We teamed up with Chef Russell Jackson from Popfoods.tv and the Food Network along with Sixpoint Brewery to put on the Fall Burger Crawl. Working with 4 restaurants and bars that use our ground beef, Chef Jackson helped us put together a path in Midtown Manhattan to taste 4 of the best off-menu Burgers in New York City. 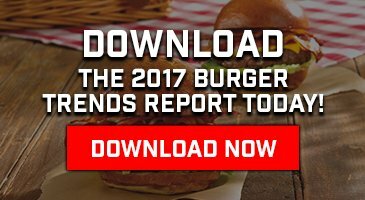 At each location burger fanatics got to try a burger specially designed for the event and a craft beer from Brooklyn’s own Sixpoint Brewery. The Fall Burger Crawl also acted as a fund raiser for the Women’s Housing and Economic Development Corporation – WHEDco, an organization that Chef Jackson works with on a regular basis. The Women’s Housing and Economic Development Corporation has worked for twenty years to build a more beautiful, equitable and economically vibrant Bronx. We reach over 35,000 people annually through energy-efficient, healthy and affordable homes; early childhood education and youth development; family support; home-based childcare microenterprise and food business incubation. Their mission is to make the Bronx a more beautiful, equitable and economically vibrant place to live and raise a family. BURGER: Bacon Cheddar Burger using Schweid & Sons Steakhouse Blend with Lettuce, Tomato, Red Onion Crispy Bacon and Red Ranch Sauce topped with 3 ounces of thinly sliced Tri Tip Steak. BURGER: Stout Burger featuring Schweid & Sons The Custom Blend Ground Beef, Porter Cheddar Cheese, Whiskey Mayonnaise and Tobacco Onions. For more on Chef Jackson, be sure to check out his SubcCulture Dining Series, a private club where the culinary curious get to try new dishes and learn how to cook from Chef Jackson.